Nicholas Agar has written several books about the ethics of human enhancement. In his latest, Truly Human Enhancement, he tries to stake out an interesting middle ground in the enhancement debate. Unlike the bioconservatives, Agar is not opposed to the very notion of enhancing human capacities. On the contrary, he is broadly in favour it. But unlike the radical transhumanists, he does not embrace all forms of enhancement. The centrepiece of his argument is the distinction between radical forms of enhancement — which would push us well beyond what is normal or possible for human beings — and modest forms of enhancement — which work within the extremes of human experience. Agar argues that in seeking radical forms of enhancement, we risk losing our entire evaluative framework, i.e. the framework that tells us what is good or bad for beings like us. That is something we should think twice about doing. I'm currently working my way through Agar's book, and I thought it might be worth sharing some of my reflections on it as I do. This is something I did a few years back when reading his previous book, Humanity's End?. In my reflections, I'm going to focus specifically on chapters 2, 3 and 4 of the book. I will write these reflections as I read the chapters. This means I will be writing from a position of ignorance: I won't know exactly where the argument is going in the next chapter when I write. I think this can make for a more interesting experience from both a writer's and a reader's perspective. Anyway, I'll kick things off today by looking at chapter 2. In this chapter, Agar introduces some important conceptual distinctions, ones he promises to put to use in the arguments in later chapters. This means the chapter is light on arguments and heavy on definitional line-drawing. But that's okay. The main thrust of the chapter is that there is a significant difference between two ideals of enhancement: (i) the objective ideal and (ii) the anthropocentric ideal. The former is embraced by transhumanists like Ray Kurzweil and Max More; the latter is something Agar himself embraces. To understand the distinction, we first need to look at the definition of enhancement itself, and the at the concept of prudential value. Let's do that now. The definition of enhancement can be contentious. This is something I've covered in my own published work. Some people equate enhancement with "improvement", but that equation tends to stack the deck against the opponents of enhancement. After all, who could object to improving human beings? If we want to engage with the debate in a more meaningful and substantive way, we can't simply beg the question against the opponents of enhancement like this. Human Enhancement: Is the use of technology - usually biotechnology - to move our capacities beyond the range of what is normal for human beings. This definition does two important things. First, it focuses our attention on our "capacities", whatever they may be. This is important because, as we'll see below, capacities and their connection to certain goods, is an essential part of Agar's conceptual framework. Second, it defines enhancement in relation to human norms or averages, not moral norms or values. This is important because it is what renders Agar's definition value-free. Still, as Agar himself seems to note (I say "seems" because he doesn't make this connection explicit), there is something oddly over-inclusive about this definition. If it really were the case that pushing human capacities beyond the normal range sufficed to count as enhancement, then we would have some pretty weird candidates for potential human enhancement technologies. For example, it would seem to imply that a drug that allowed us to gain massive amounts of weight -- well beyond the normal human range of weight gain -- would count as an enhancing drug. Surely that can't be right? For this reason, Agar seems to endorse the approach of Nick Bostrom, which is to assert that there are certain kinds of human capacity that are "eligible" candidates for enhancement (e.g. intelligence, beauty, height, stamina) and certain others that are not (e.g. the capacity to gain weight). The problem is that this re-introduces value-laden assumptions. Ah well. Definitions are tough sometimes. 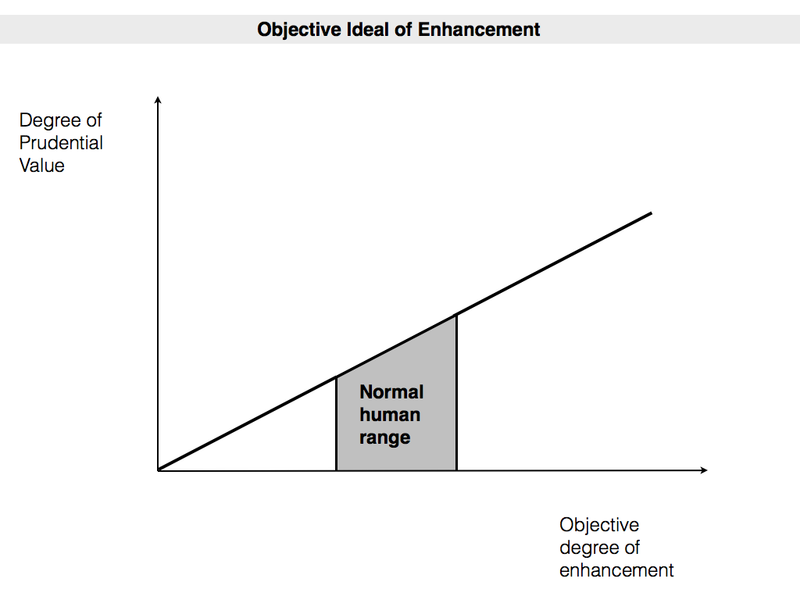 Agar's argument is about the prudential value of enhancement. That is to say: the value of being enhanced from an individual's perspective. The question he asks is: is enhancement good for me? His argument is not about the permissibility or moral value of enhancement. If we focus on enhancement from those perspectives — for example, if we were to focus on enhancement from the perspective of the public good — different issues and arguments would arise. Instrumental Value: Something is instrumentally prudentially valuable if it brings about, or causes to come into being, other things that are good for the individual. Intrinsic Value: Something is intrinsically prudentially valuable if it is good for the individual in and of itself, not because it brings about something else. To add more complexity to the distinction, Agar also introduces the concepts of external and internal goods. This is something he derives from the work of Alasdair MacIntyre, who explains the difference with an analogy to the game of chess. MacIntyre says that playing chess can produce certain external goods. For example, if I am a successful chess player, I might be able to win prize money at chess tournaments. The prize money would be an external good: a causal product of my success at chess. But there are other goods that are internal to the game itself. In playing the game, I experience the good of, say, strategic planning, careful rational thought about endgame and opening, and so forth. These goods are instantiated by the process of playing chess. They are not mere causal products of it. Why is this important? Well, because Agar urges us to evaluate our human capacities in terms of both their instrumental value (i.e. their tendency to produce external goods) and their intrinsic value (i.e. their tendency to help us instantiate internal goods). This is where the contrast between the objective and anthropocentric ideals of enhancement becomes important. I have one comment about Agar's view of capacities and goods before proceeding to discuss the differences between the objective and anthropocentric ideals. I think the relationship between our capacities and external goods is tolerably clear. Agar is simply saying that our capacities are instrumentally valuable when they help us to bring about certain external goods (e.g. greater wealth, happiness, artwork, scientific discoveries and so forth). The relationship between capacities and internal goods is less clear. Agar says "we assign intrinsic value to a capacity according to the internal goods it yields", but I wonder what he means by "yields" here. It can't be (can it?) that our capacities themselves instantiate internal goods? Rather, it would seem to be that our capacities allow us to do things, engage in certain activities (like chess playing), that instantiate certain internal goods. At least, that's how I understand the relationship. It is possible to measure objective degrees of enhancement. For example, if we take a capacity like stamina or intelligence, we can measure the amount of improvement in those capacities by adopting widely used metrics (e.g. bleep tests and IQ tests). We might quibble with some of those metrics, but it is still at least possible to measure objective rates of improvement along them. Other capacities or attributes might be more difficult to measure objectively (e.g. can we measure capacity for moral insight when the concept of morality is so contested? ), but even in those cases it might be possible to come up with an objective measurement. It will just be a highly contentious one. These contentions need not concern us here. All that matters is that there is some possibility of objective measurement. Provided that there is, we can understand the objective ideal of enhancement. 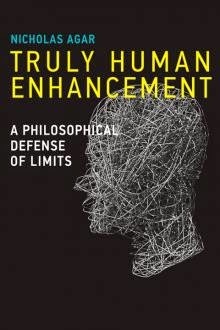 This ideal has a very straightforward view of the relationship between human enhancement and prudential value. It says that as we increase the objective degree of enhancement (i.e. as we go up the scale of intelligence, moral insight, stamina, beauty, lifespan etc. ), so too do we go up the scale of prudential value. There may be diminishing rates of marginal return — e.g. the first 400 years of added lifespan might count for more than the second 400 — but, and this is the critical point, there is never a negative relationship between the degree of enhancement and the degree of prudential value. This is illustrated in the diagram below. Agar argues that many in the transhumanist community embrace the objective ideal of enhancement. They think that the more enhanced we become, the more prudential value we will have. He cites Ray Kurzweil and Max More as two exemplars of this attitude. His suggestion is that this comes from an instrumentalist approach to the value of our capacities; a belief that they matter because they help us to realise certain external goods; not because they instantiate intrinsic goods. This sets up the contrast with the anthropocentric ideal. This ideal has a different view of the relationship between enhancement and prudential value. Instead of it being the case that prudential value always increases in direct relation to increases in objective degrees of enhancement, it is sometimes the case that the relationship reverses. For example, an extra 100 IQ points might increase the degree of prudential value, but an extra 500 might actually decrease it. This idea is illustrated in the diagram below. Agar's suggestion is that the anthropocentric ideal allows for this kind of relationship because it includes intrinsic value and internal goods in its assessment of prudential value. The anthropocentric ideal suggests that there are certain things that are good for us now (as human beings) that might be lost if we push the objective degree of enhancement too far. These are goods that are internal to some of our current types of activity. Agar is adamant that the anthropocentric and objective ideals are not alternatives to one another. That is to say: it is not the case that one of those ideals is right and one is wrong. They are both simply different ways of looking at enhancement and measuring its value. Furthermore, the anthropocentric ideal doesn't necessarily assume that all forms of enhancement reach a point of decline. This is something that needs to be assessed on a case by case basis. Despite these admonitions, it seems clear that his goal is to argue that the anthropocentric ideal is too often neglected by proponents of enhancement; and to argue that the negative relationship does arise in some important cases. The purpose of chapters 3 and 4 is to flesh out these arguments. I'm interested in seeing where all of this goes. I appreciate the conceptual framework Agar is building, but I'm concerned about his use of the external/internal goods distinction and how it maps onto our understanding of human capacities. It seems to me like an objective ideal of enhancement (one that accepts the positive relationship) need not deny or obscure internal goods. But that depends on how exactly we understand the relationship between capacities and internal goods. I'll hold off on any judgment until I've read the subsequent chapters.